Welcome to the future of Weihai, China! 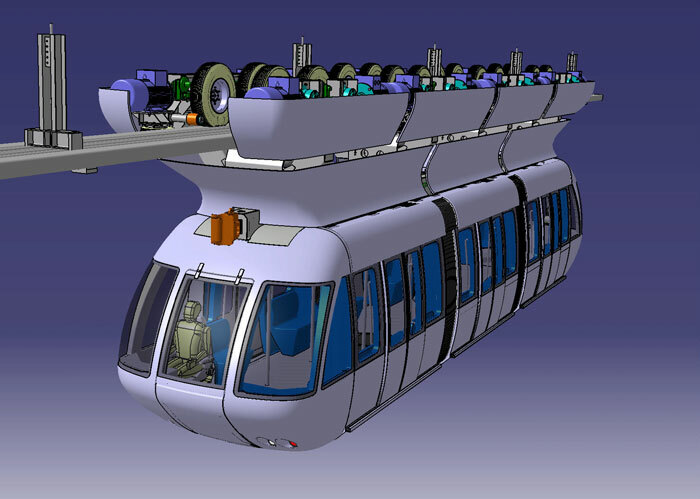 In January of 2007, Aerobus International, Inc., was given final approval to engineer and design a unique island connector system for Weihai, China. 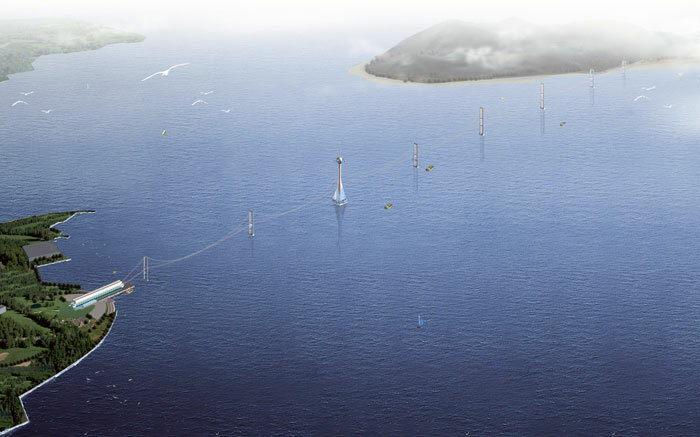 Weihai will get a 4.3 kilometer dual-lane Aerobus line across open ocean bay water to Liugong Island, which is already a popular tourist destination. 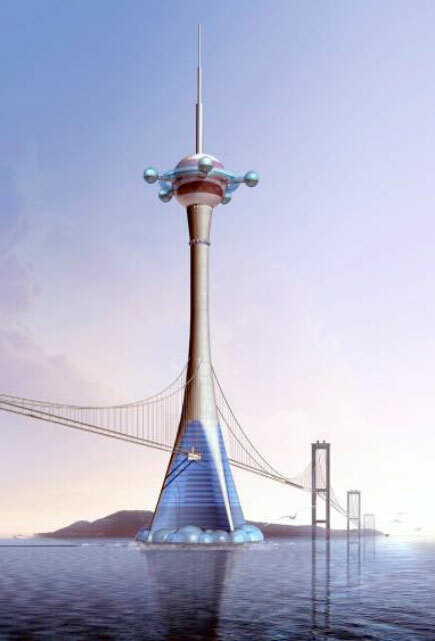 The line will not only be a spectacular ride along the suspension bridge, but at one point along the route, passengers will be able to disembark and take an elevator ride to the top of a spectacular observation tower known as the Weihai Star. One great advantage of Aerobus is the capability of placing pylons up to 600 meters apart, lowering the costs and disruption during construction. 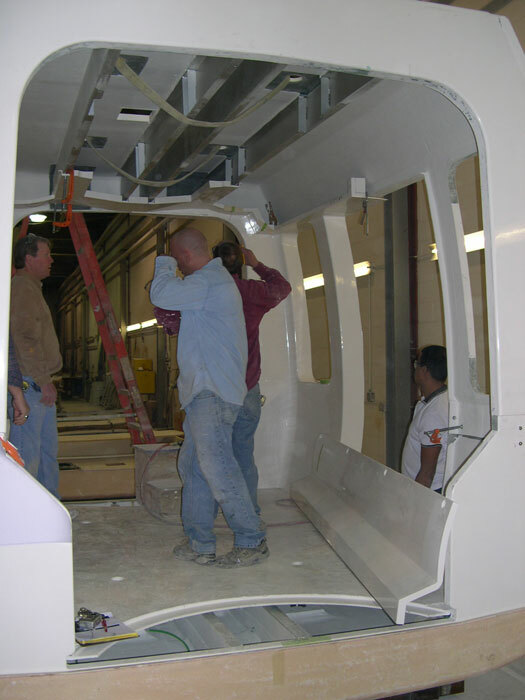 Aerobus systems have been installed at various locations since the first in 1970 at Swerikon, Switzerland. The Weihai line will feature three-segmented vehicles, with sixteen load-bearing rubber tires. Here is our very first look at construction! 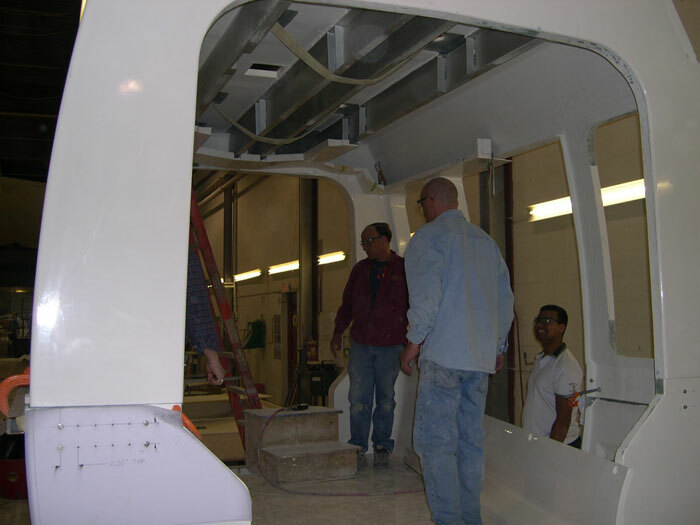 This is one of the composite vehicles under construction at TPI Composites in Rhode Island. Another look, just a bit closer. Some day soon this vehicle cruising over water in China! Further information can be found at the Aerobus International website.